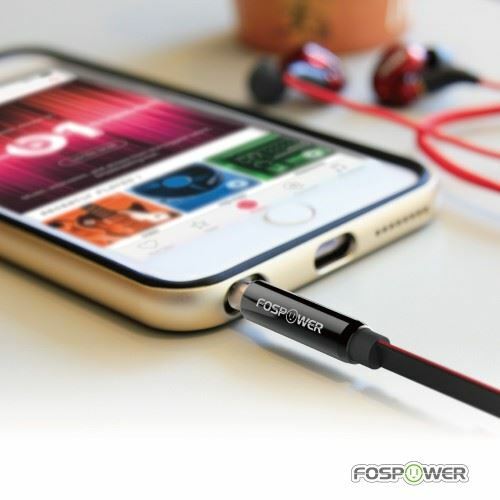 FosPower's premium 3.5mm audio cable allows you to connect your iPhone, Android device, iPod, audio streaming device (e.g. ChromeCast Audio, Bluetooth audio receiver), MP3 player, CD player, smartphone, tablet, gaming device, or any audio device with a 3.5mm headphone jack to your car, office, or home audio system. 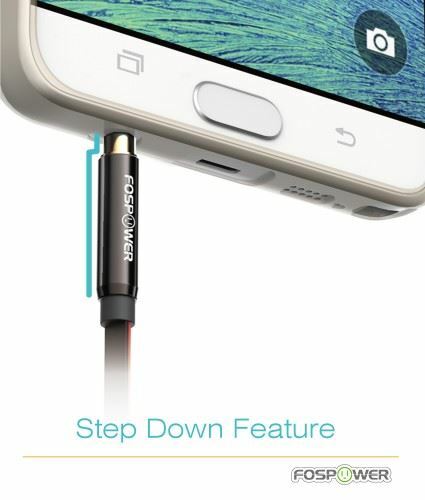 At just 1.2mm x 4.0mm, this flat cable proves excellent flexibility, space efficiency, and higher-density interconnections for the best mix of performance and utilization. 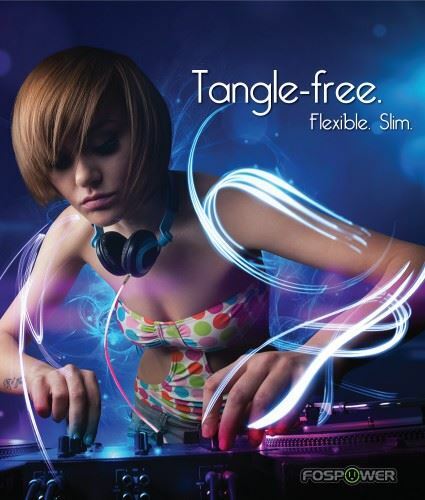 Also tangle-free; preventing an annoyance that separates this from other cables. 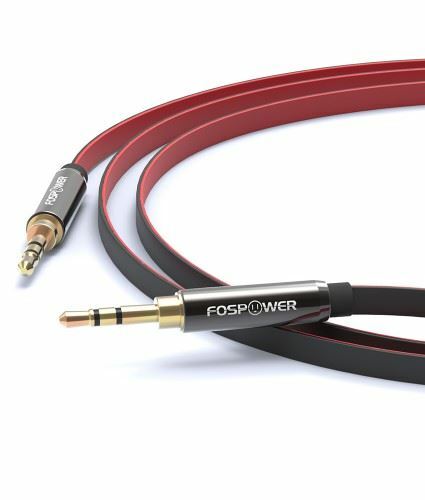 Ensure that the FosPower stereo audio cable can be fully inserted into audio ports (AUX) while keeping compatibility with most cases in the market. The attractive dual-color scheme of the cable gives off an aesthetically pleasing, modern look. A sleek, uniform effect is achieved because of the complementary slimness. The tin plated copper core reduces oxidation and increases the wire life. Made from high quality 24k gold plated connectors that resist corrosion and reduce tarnish. The thermoplastic elastomer (TPE) jacket is comprised of a mix of polymers, gaining the benefits and characteristics of each substance. 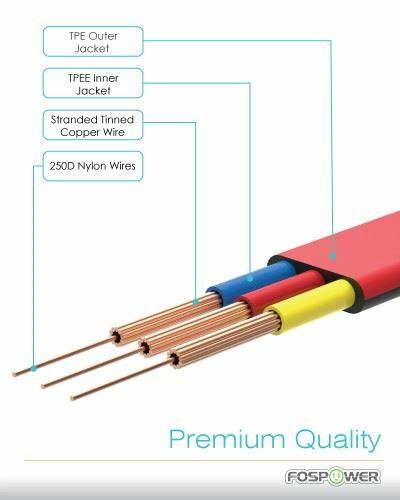 Flexible, resistant to extreme temperatures and oxidation, these properties help make the cable long-lasting and durable.